Our developer's team is a collection of experienced professionals, ready to offer you a comprehensive range of services that includes everything from planning and building your home to furnishing its interior to suit your personal taste. Cyprus, Holiday villas for sale and rent, apartments, hotel, golf, spa, tennis, real estate, property management, and weddings at Aphrodite Hills, Paphos. Aphrodite Hills offers villas, apartments, townhouses and plots at one of the most prestigious and sought-after locations in Cyprus. An ideal investment opportunity, these luxurious golf properties constitute the perfect choice for a holiday home. Olive Properties are property and land developers based in Pafos (Paphos), Cyprus, providing high quality real estate, ranging from apartments, maisonettes and cottages through to luxury specification villas. All properties are suitable for permanent or partial residence, investment, retirement or holiday homes. For the best quality properties in Cyprus, see Prospecta Developments. We have an extensive list of properties for sale in Cyprus, and if you are thinking to buy property in Cyprus, visit out site!. The largest developer in the Paphos Region offering a wide selection of new and re-sale properties in over 120 locations. Cyprus Property. Wide range of holiday and residential Cyprus properties from the leading Cyprus property developer. Excellent investment opportunities. 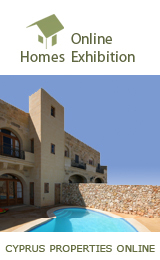 Custom built and completed properties in Cyprus, Paphos. DNP Enterprises has evolved from family owned organizations operating in the building industry since 1978 and is managed by Demetris Papacharidemou B.Eng. (civil) to be a model of excellence in homebuilding, with people working together who are committed to provide value to our customers and service to our community.